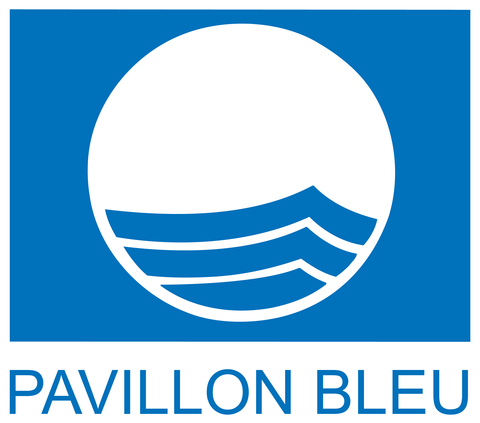 The blue flag was created by the French Office of the Foundation for Environmental Education in Europe (Office français de la Fondation pour l'Education à l'Environnement en Europe) in 1985. It is awarded annually to municipalities and marinas that are engaged in environmental improvement policy. It has become a reference in the fields of tourism, environment and sustainable development. The town of Cassis was awarded the Blue Flag in 2009. This was renewed in 2010, 2011, 2012, 2013, 2014, 2015 and 2016 for le Bestouan and La plage de la Grande Mer. And for the 6th consecutive year the Blue Flag fleet in the Calanque of Port Miou, France's first Calanque to obtain this environmental label. Repository for the management and monitoring of the quality of bathing water. This approach is proactive. The system of management and monitoring of the quality of bathing water is certified since 2011 on 4 bathing zones : L'Anse de l'Arène, L'Anse du Corton, La plage de la Grande Mer, Le Bestouan.